Work, solve and grow, together. The perfect solution for improving team chemistry. Hands-on and brain stimulating, these activities will challenge your entire team to think quickly and communicate clearly. Watch employees explore their individual strengths, and learn how to work with others–all while having some laughs and unexpected fun. Our most customizable program, Team Initiatives can take place inside, outside or even at your facilities. 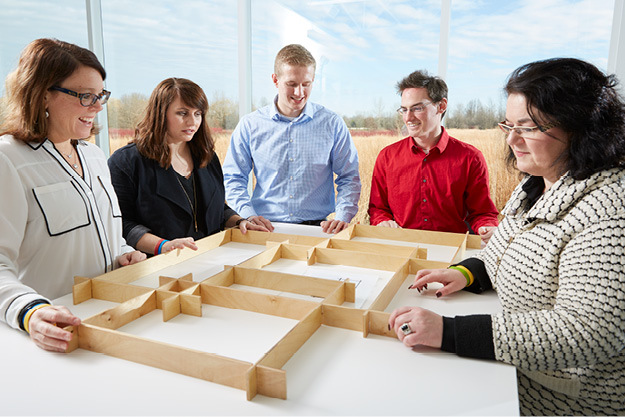 Teams take on a series of small yet complex challenges chosen to meet your goals and corporate culture. Moving quickly, discover the importance of collaboration and group consensus. Break up a day in the conference room or kick off a lunch meeting with a bang. This short program is perfect for large groups and can be done at any location. We’ll choose from a variety of activities to meet your team’s goals and, through moments of laughter and fun, energize your team and build trust. 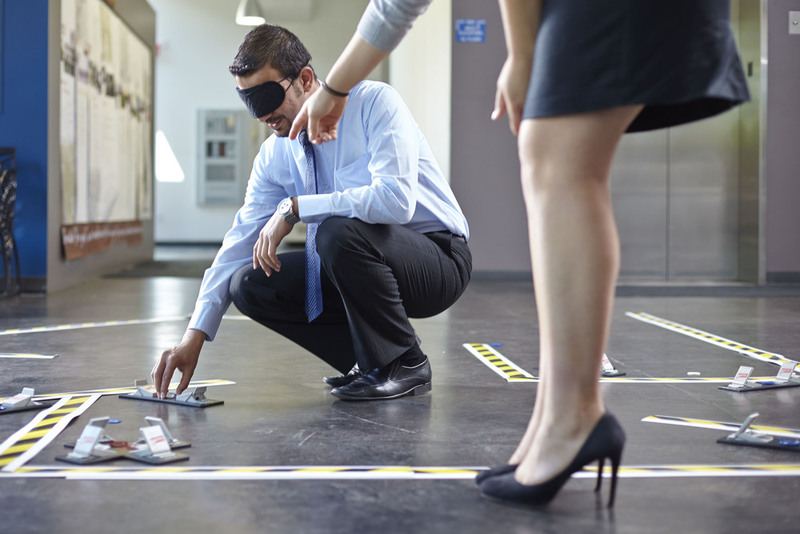 Explore the challenges of communicating in a stressful situation as teams try to navigate a maze, avoid penalties and rack up points. Employees will take on specialized roles and use strategic thinking to guide “technicians” through the maze. Teams can see the immediate results of their choices as they balance risk and reward. 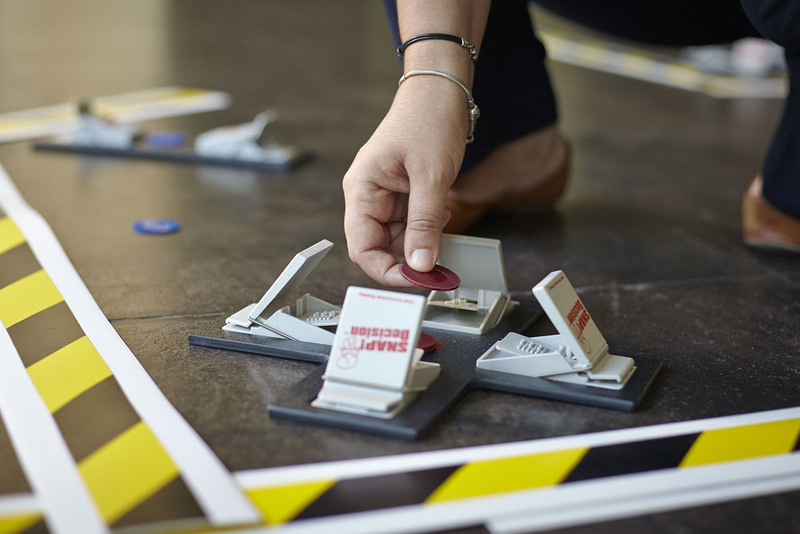 This intense challenge tests a group’s ability to solve complex problems. After examining a diagram, participants must replicate it using customized wooden puzzle pieces. The task seems simple, but as the group proceeds, they discover that it’s more complicated than it appears. To be successful requires a high level of teamwork and process improvement skills.